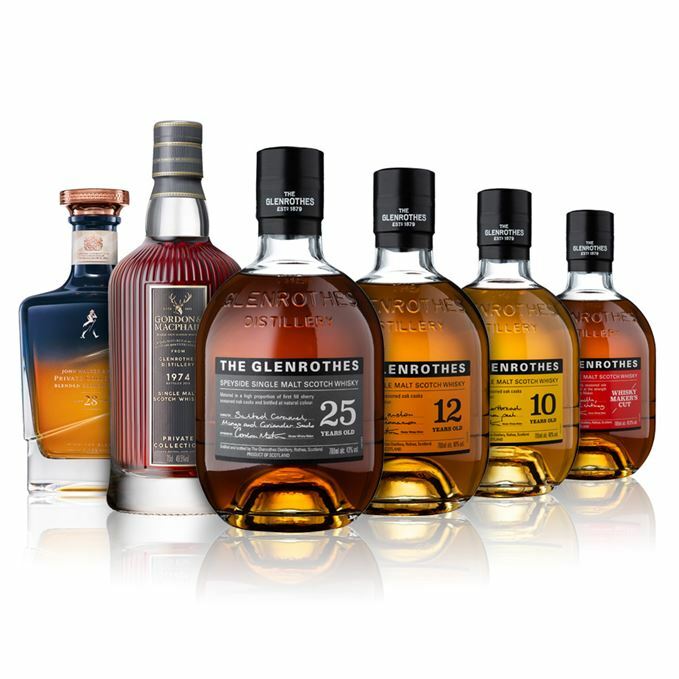 A glut of Glenrothes this week, as Dave Broom samples the distillery’s new Soleo Collection and a Private Collection release from Gordon & MacPhail’s stocks. 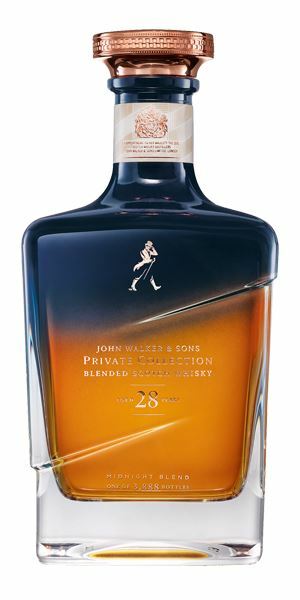 He also bids a solemn farewell to Johnnie Walker’s own Private Collection series. Glenrothes was renowned for its vintage bottlings, but the Soleo Collection marks a move towards more conventional age statements. The new 10-year-old is fresh, lively and light, but Broom believes it could do with a little more time. On the other hand, Broom feels the 12-year-old is an ‘easy drinking introduction to the range’, with cereal notes and sweet fruits on the palate. However, he reckons nudging the abv up to 43% would serve it in good stead. Broom finds his higher abv in the 25-year-old, which smacks of carrot cake and raisins. It’s good, but Broom laments the loss of the vintages which made Glenrothes unique. Conversely it’s the Whisky Maker’s Cut – the range’s no-age-statement malt – which Broom ranks top of the Soleo Collection heap. With a bouquet of praline and pecan, it’s ‘a great quaffer on a winter’s night’. 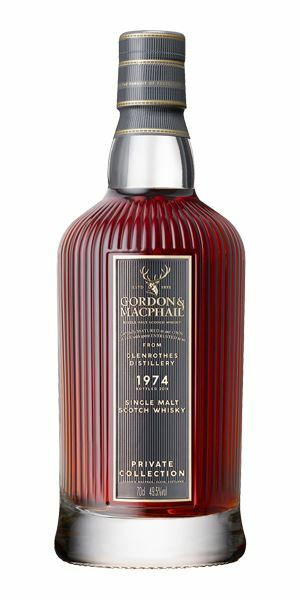 On to the Private Collections, with Gordon & MacPhail’s £1,250 Glenrothes hitting leather armchair and tweed notes on the nose. An excellent dram, Broom concludes, calling it ‘powerfully exotic’. The final bottling of the John Walker & Sons Private Collection range, the Midnight Blend, is a smorgasbord of silky grains and waxy textures. A fitting end, says Broom, to a ‘treat’ of a series. This week’s playlist veers from a Temptations classic to heartfelt laments from Kylie Minogue and folk singer Lal Waterson. Perhaps they’re missing the vintages too? Typical young ‘rothes where things are slightly restless and on the move. The cereal elements which come to the fore in Glenrothes’ early years are picked up here as toasted barley, before some lemon freshness pings in quickly followed by a ferny or mossy back note. As it develops there’s mash tun and All Bran mixed with hot milk, but things remain light overall. With water, there’s citrus pith, ground hazelnut and oats but still this sense of tension. Pretty simple. Fresh, lively and light, with a slight bitter nut element, but there’s some mid-palate sweetness. The edginess picked up on the nose never quite goes away. The distillery’s warm fuzziness is just beginning to show itself. Once again the feeling is one of potential rather than fulfilment. Water accentuates the cereal bitterness and things thin a little in the mid-palate, which is where ‘rothes usually comes into its own. I just wonder what role this plays given there’s a 12-year-old expression. ‘Rothes has always struck me as a slower-maturing dram and this catches it at an awkward stage. A Young Girl out in the fields. Still pale. Initially it seems to be in similar vein to the 10-year-old, but there’s a little more citrus and though it’s slightly reticent, you can pick out bread crust, poppy seeds and (as things start to fatten out) the smell of a woollen mill. As things develop so you get honeysuckle, raffia and light vanilla, while orange comes in alongside lemon. Water shows toasty wood, soft semi-dried fruit and Sherried hints. Slightly fuller in weight than the 10-year-old, the cereal now falling back and helping with the structure allowing gentle, sweet fruits to take charge, adding softness and depth to the centre (though you can’t help but feel 43% would have boosted this quality further). Water shows a clean start, then sultana. Still light. An easy-drinking introduction to the range. Straight down the middle. Mature and quite refined qualities with more fruit basket (peach) and fruit loaf before the smell of an old-fashioned tobacconist’s shop alongside cep mushrooms. 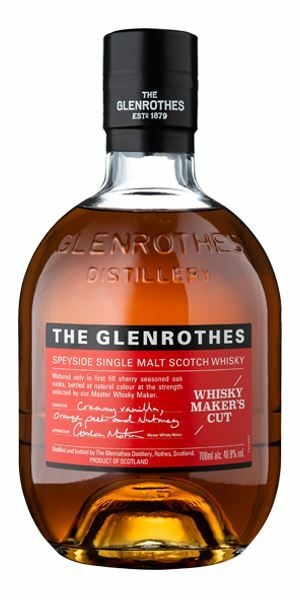 It’s slow to reveal itself, which is fairly standard for Glenrothes. Water brings out polished church pews, some wet plaster and sweet nuts alongside the mix of fresh and dried fruits. A very soft start and pretty restrained. There’s a sense of a gentle maturation having taken place, but though there’s plenty of dark fruits and toffee, it still has some lift (the citrus turning into marmalade) alongside carrot cake, raisins and a tiny touch of walnut. It is almost too soft and polite and things start to thin out. Water brings out more of the retronasal mix of Sherry and citrus. Still slightly acidic and spiced. A good, mature example, but as my colleague the ever astute Mr Woodard pointed out recently, why drop a successful approach which showed different facets of the distillery in vintages form and conform to the norm? 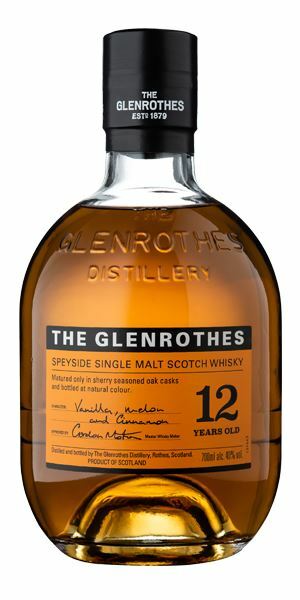 No matter how good the whiskies are, Glenrothes has gone from something which intrigued into just another bottle with a number on it. Softly assertive Sherried aromas, with coffee cake, espresso machine, slight burnt fruit cake, praline and pecan pie (with some dried orange peel) and vanilla pod. Chewy, rewarding and ever so slightly tweedy. Water brings out more raisin and chocolate. Very good balance achieved here between the cask (first-fill Sherry) and the distillery. This has the ‘rothes flow which moves into ripe, cherry-like fruits and bramble briar cut with quite crunchy maltiness, then carob. The tip is all dried fruit, then some vetiver, balanced oak and some mid-palate weight. Glenrothes on a plate for you. For me, the best of the bunch. Has breadth, depth balance, and rich ‘rothes character. A great quaffer for a winter’s night. Stay cool and Don’t Let The Joneses Get You Down. An immediate and – dare I say – very G&M air to this. There’s a fragrance to many of the firm’s old casks which takes things into the savoury and exotic world of incense, myrrh, vetiver and a spice market. Along this is polished wood (akin to the 25-year-old) a light waxiness and a tiny hint of smoke. Water makes things funkier with some wet tweed, fruit cake and leather armchair. If the 25-year-old is a tobacconist’s, this is a gentleman’s barber’s. Into dried mint and thyme, then those old tweed jackets moistened with rain, dried fruit, leather and fruit cake, alongside some powdery tannins and Glenrothes’ signature spiciness. It starts to dry a little on the back, but has the restraint you expect alongside dried flowers, date and treacle toffee. The menthol reappears, dried peels, then dried fruit and cocoa. Dries. A powerfully exotic, mature example. Highly recommended if you happen to have a grand lying around. In the barber’s chair, thinking of a new Morning. Initially it’s the grain that comes through yielding and soft, with a soft spread of hazelnut butter, tangerine, then a switch into heathery smoke and a firmer, more wooded touch. In the background there’s lots of sandalwood, apple and cooked-down red fruits before things move towards white chocolate. Water enhances the richness. Silky grain kicks off once again, now given a turbo boost by a real waxy texture and shea butter. It needs some water to calm down a slight spikiness in the mid-palate. This allows the mid-palate compression and layering you want from older whisky to then ease itself out into rancio (tropical fruit). Slightly peppery spices, but with water, soft fruits. And so, at midnight, Jim Beveridge and Craig Wallace put the lights out and it’s farewell to the Private Collection. It’s been a treat. Conjured up over a Midnight Feast. Batch 179 14/12/2018 Teeling’s first release, Red Spot, Prince Charles’ Royal Lochnagar and that Amazon Bowmore. Batch 177 30/11/2018 BenRiach Sherry Wood and a quintet of Glens, headed by Glengoyne’s latest Teapot Dram.